Dr. Arash Anavim graduated from the Tehran University of Medical Science and completed his residency program at the Charles R. Drew University of Medicine and Science. He is specialized in Radiology and board certified in Diagnostic Radiology. 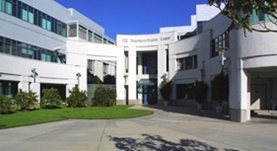 Dr. Anavim has been in practice for more than 11 years and is affiliated with the University of California-Irvine Medical Center. During his career, he has also contributed to 2 clinical research publications. Dr. Arash Anavim has contributed to 2 publications. Comparison between high-resolution isotropic three-dimensional and high-resolution conventional two-dimensional FSE MR images of the wrist at 3 tesla: A pilot study. Yamabe, E.,Anavim, A.,Sakai, T.,Miyagi, R.,Nakamura, T.,Hitt, D.,Yoshioka, H.; J Magn Reson Imaging. 2013 Nov 15. Radiology Residents Rounding With the Clinical Teams: A Pilot Study to Improve the Radiologist's Visibility as a Consultant. Mamlouk, M. D.,Anavim, A.,Goodwin, S. C.; J Am Coll Radiol. 2013 Jul 10.